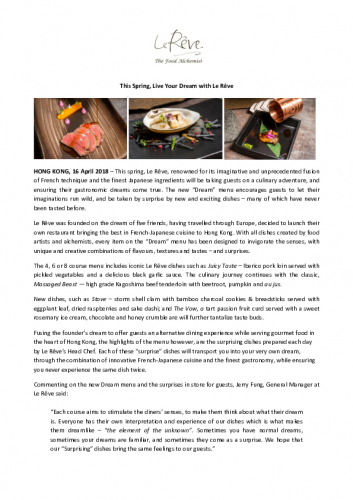 HONG KONG, 16 April 2018 – This spring, Le Rêve, renowned for its imaginative and unprecedented fusion of French technique and the finest Japanese ingredients will be taking guests on a culinary adventure, and ensuring their gastronomic dreams come true. The new “Dream” menu encourages guests to let their imaginations run wild, and be taken by surprise by new and exciting dishes – many of which have never been tasted before. 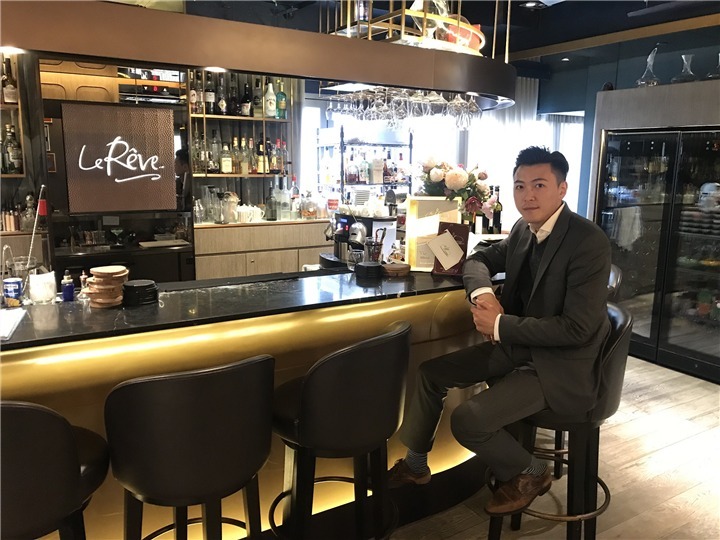 Le Rêve was founded on the dream of five friends, having travelled through Europe, decided to launch their own restaurant bringing the best in French-Japanese cuisine to Hong Kong. With all dishes created by food artists and alchemists, every item on the “Dream” menu has been designed to invigorate the senses, with unique and creative combinations of flavours, textures and tastes – and surprises. The 4, 6 or 8 course menu includes iconic Le Rêve dishes such as Juicy Taste – Iberico pork loin served with pickled vegetables and a delicious black garlic sauce. 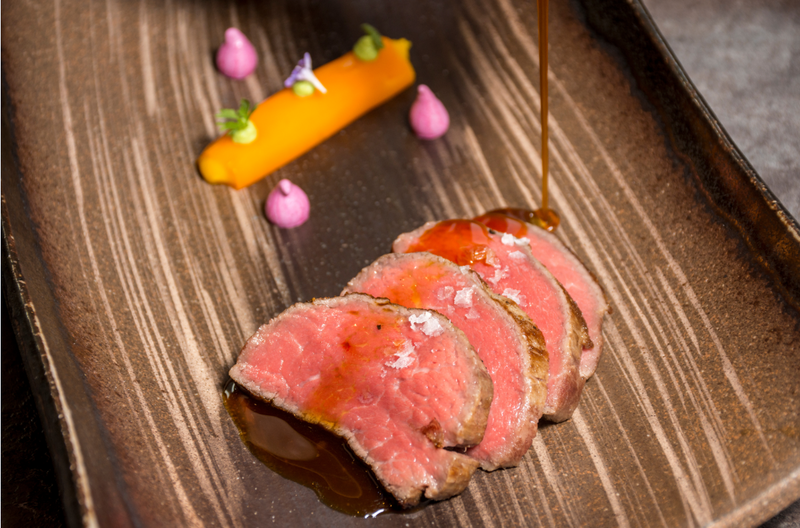 The culinary journey continues with the classic, Massaged Beast — high grade Kagoshima beef tenderloin with beetroot, pumpkin and au jus. 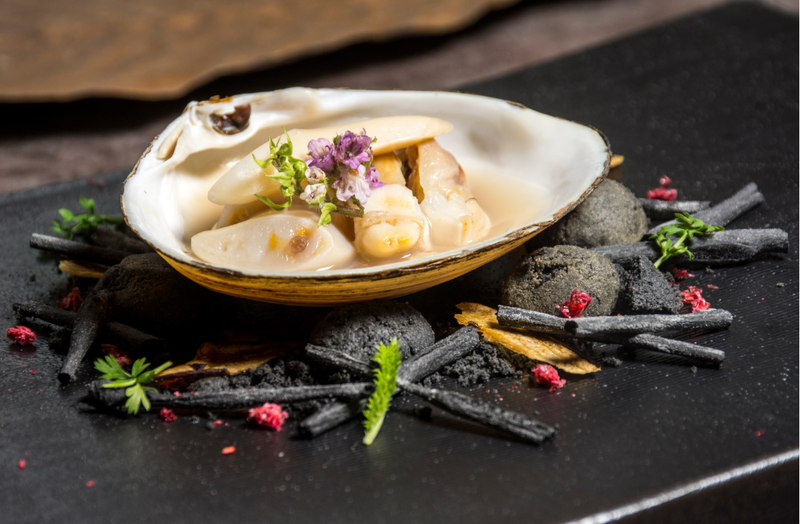 New dishes, such as Stove –storm shell clam with bamboo charcoal cookies & breadsticks served with eggplant leaf, dried raspberries and sake dashi; and The Vow, a tart passion fruit curd served with a sweet rosemary ice cream, chocolate and honey crumbleare will further tantalize taste buds. Fusing the founder’s dream to offer guests an alternative dining experience while serving gourmet food in the heart of Hong Kong, the highlights of the menu however, are the surprising dishes prepared each day by Le Rêve’s Head Chef. 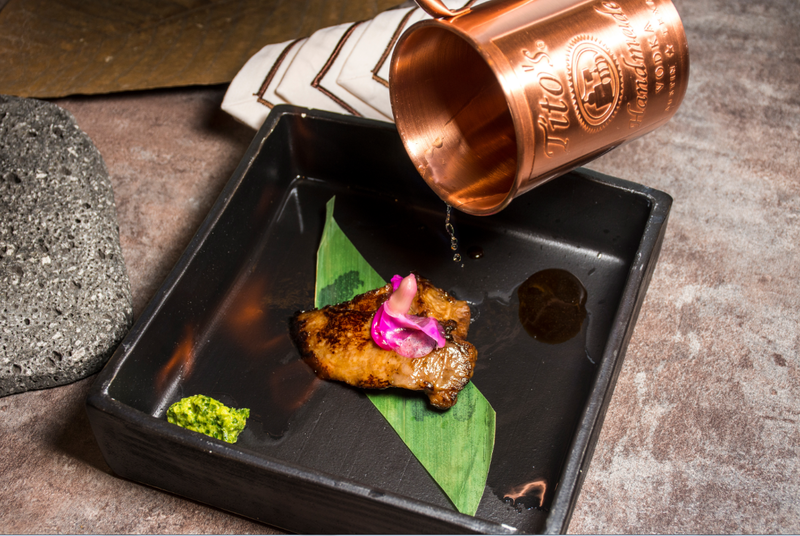 Each of these “surprise” dishes will transport you into your very own dream, through the combination of innovative French-Japanese cuisine and the finest gastronomy, while ensuring you never experience the same dish twice. The new menus are available from 19 April 2018, and are priced at $590, $880, $1,150 for a 4, 6, or 8 course menus respectively, plus 10 per cent service. Wine pairings are also available.